Sturgis, SD – The Sturgis Buffalo Chip is giving the public a once-in-a-lifetime opportunity to win a limited edition Epiphone Coronet™ guitar signed by 2013 Buffalo Chip performing bands, Alien Ant Farm, Fuel and Filter. The one-of-a-kind guitar is the prize the Buffalo Chip will award to one lucky individual who enters its Rock the Holidays Guitar Sweepstakes. The sweepstakes is free to enter. Registration is now open at BuffaloChip.com and participating partners’ sites. In addition to autographs from Alien Ant Farm, Fuel and Filter, the commemorative Epiphone® guitar includes custom graphics and the signature of Buffalo Chip owner, Rod Woodruff. The instrument features a double cutaway design, compensated wrap-around bridge, single volume control, high output 700T humbucker pickup, mahogany body, bolt-on mahogany neck and a rosewood fingerboard with dot inlays. The three bands that signed the custom guitar performed the grand finale to the Buffalo Chip’s nine-day music festival during the Sturgis Rally in Aug. 2013. It is the only guitar of its kind autographed by the bands, making it a collector's dream. Enter the Rock the Holidays Sweepstakes at www.BuffaloChip.com or participating partners’ sites for your chance to win this exclusive Buffalo Chip music lover’s memento. Registration closes Dec. 17, 2013 at 5 p.m. MST. The winner will be announced Dec 19. The participating partners who made the Sturgis Buffalo Chip Rock the Holidays possible include Epiphone, Alien Ant Farm, Fuel, Filter, Rock 106.5 FM in Salt Lake City, XROCK 101.1/103.5 FM in Rapid City, and MotorcycleUSA.com. The 33rd annual Sturgis Buffalo Chip Motorcycle and Music Festival will deliver nine days of non-stop entertainment including Florida Georgia Line and Lynyrd Skynrd. Running July 28-Aug. 9, 2014, camping passes are on sale now, and all concerts are free with camping. For more information about camping, concerts and motorcycle events at the Sturgis Buffalo Chip campground, visit www.BuffaloChip.com or call (605) 347-9000. 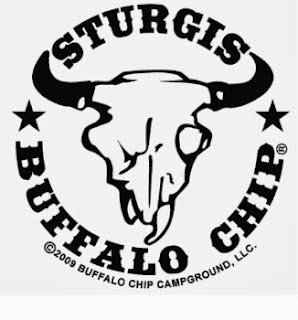 Since 1981, the Sturgis Buffalo Chip has provided nine days of epic live music experiences and exciting activities for fans from around the globe. The family-owned and operated Sturgis Buffalo Chip® is host to the Sturgis Rally’s cornerstone event, known as the Largest Music Festival in Motorcycling™ and The Best Party Anywhere™. Concerts are free with camping. Passes grant access to music industry's hottest stars, the Bikini Beach Swim Paradise, 25 bars, mouth-watering food and beverage vendors and thrilling exhibits. The Sturgis Buffalo Chip offers clean, well maintained facilities, private showers, cabins, RVs, paved roads and more. Outrageous events such as unforgivably hot bikini contests and jaw-dropping daredevil stunts are a few of the many daily spectacles unique to the Chip. The famed creek-fed 580-acre camping resort is located three miles east of Sturgis, SD. Now in its 33rd year, this event is one of the few remaining independent music festivals in the world. The Buffalo Chip is a festival experience like no other. More details are available at www.BuffaloChip.com.